Looking for the best blender for banana ice cream? Having made nearly 100 batches of banana ice cream, I've figured out which blenders work well for the task and which ones fall flat. This guide was created to pass on that information to you. The best blenders to make banana ice cream and why I picked them. Two different ways to make banana ice cream. Important tips for making it (no matter what blender you have). I picked these blenders because I have personal experience making banana ice cream in the blenders themselves or slightly different sister models. Between myself and my immediate family, we currently own a Vitamix, Blendtec and two different Nutribullets. That's not counting blenders that we no longer have or gave away. Long story short, I've made tons of banana ice cream (probably well over 75 batches in my lifetime). I've done it in a bunch of different blender brands so I know what works well and what doesn't. Banana ice cream is technically a frozen dessert consisting of 100% bananas and nothing else. The idea is to freeze the bananas and then pulverize them into a smooth mixture. The starch from the banana creates a creamy texture that's surprisingly similar to ice cream. Add a few dairy-free chocolate chips with some coconut flakes and you've got a delicious treat. However, you can make banana ice cream with a splash of non-dairy milk to give it a little bit of a thinner texture. Here's a photo of my latest batch of banana ice cream using a splash of soy milk. I made it in my Nutribullet 900! This batch actually has some cacao nibs and powder which is why it's got a darker tint. A "softer" version of banana ice cream made in my Nutribullet. It has a splash of soy milk and some cacao powder and nibs. It's still the perfect texture to eat with a spoon. Compare this to a batch that I made in my Vitamix using the tamper without soy milk. This batch was made with my Vitamix and is quite a bit thicker than the Nutribullet version. 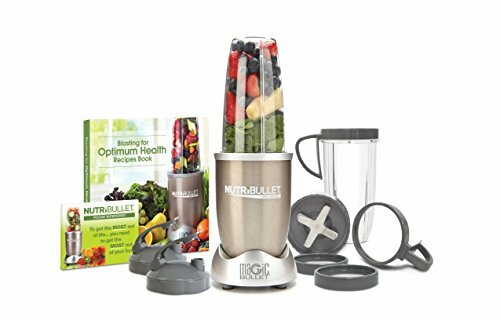 Oddly enough, I happen to like the Nutribullet version better. As you can see, using 100% bananas makes it quite a bit thicker. However, the flavors can be quite overpowering. In my opinion, banana ice cream doesn't always have to be 100% banana. I actually prefer adding a splash of soy milk and vanilla extract for extra flavor and to help things blend easier if I'm not using my Vitamix. It still comes out super thick and creamy -- perfect for eating with a spoon. A tamper is a blender accessory that's used to push ingredients into the blades. As you blend solid ingredients, the blades can actually push them off into the side, so that they don't come in easy contact with the ingredients. This happens more when you have solid mixtures that don't get "sucked in" to the blending vortex. Here's a photo of me using a tamper in my Vitamix. The bananas quickly get mashed and blended into soft serve as they keep getting pushed into the blades. Using the tamper makes sure that the bananas make it to the blades rather than getting caught around them. If you're making banana ice cream with 100% bananas, then you're dealing with all solids. A tamper will ensure that it pulverizes smoothly and consistently so you're not mixing and re-blending chunks. If you have sharp blades, you're basically going to "chop" the bananas. This isn't what you want. You want the combination of dull blades and a powerful motor to "smash" the bananas to give them that texture of soft serve. Additionally, sharp blades will dull over time anyway. If the motor on the blender wasn't powerful enough to work with sharp blades, when they dull it's going to be an issue. Be sure to slice the bananas into coins before freezing, this will make them easier to handle by the blender. Allow them to defrost slightly before blending so they aren't rock solid. You won't have to do that with any of these blenders, it's a good thing to know. Here are my coin shaped bananas straight out of the freezer. I cut them up and then keep them in a Ziploc. As you can see they get a bit discolored, but it's fine! Not only will the Vitamix 750 make banana ice cream, but it will pretty much make everything else you throw at it. I'm a Vitamix fanatic as I've owned and used one for the past five years. They really are worth the hype. High Power: Not only is it well designed, but the 750 has a lot of power behind it (2,2-peak hp). It's going to make quick work of any food you can think of. Frozen bananas are almost too easy for it. Tamper: Using the tamper to push your bananas into the blades will ensure that your ice cream smooth and thoroughly blended. Low Profile Container: Even though the container (64 oz), it's made to be lower than the original versions of the Vitamix which had a bit of trouble fitting under kitchen cabinets. Variable Speeds: If you're making a smoothie and want to throw in some cacao nibs, you may not want them to get liquefied. Variable speeds mean that you can do a soft chop and dice as well as completely pulverize ingredients. Make Hot Soup: The friction of the blades and the venting container mean that you can make hot soup within the machine. No need to puree and move to the stove. I use this function all the time for warm vegan cheese sauces and fondues. Warranty: Comes with a 7 year Vitamix warranty that can't be beat. I can personally vouch for the professionalism of their service as I've had mine undergo a few minor repairs. They didn't even make me pay for shipping. Pre-Programmed Settings: Unlike the older Vitamix models, you can make a smoothie and walk away with the pre-programmed settings. If you know the recipe, there's no need to baby sit blends. If you go into a professional smoothie shop, you'll often see them using these settings on their blenders. Pricing: This bad boy tends to run pretty high in price. Most people aren't going to be able to afford it on a whim. Bulky: If you live in a small apartment you simply might not have the room for it despite the low-profile container. It's also annoying to use a big blender like this for smaller batches of things. Not only will the Vitamix 5200 make banana ice cream, but it will pretty much make everything else you throw at it. I'm a Vitamix fanatic as I've owned and used one for the past five years. They really are worth the hype. 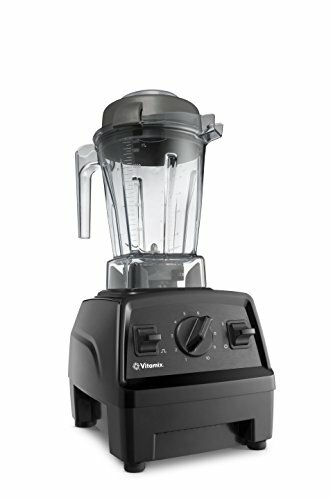 All Function No Frills: Has all the power of the Vitamix 750 without some of the stuff that you don't really need. It has the variable speeds, tamper, great blades, and hot soup capabilities. What else could you possible ask for in a blender? Alternative Option for Less: The 5200 tends to be priced a fair bit cheaper than the 750. This make it a more budget-friendly blending powerhouse . Warranty: It still has the standard 7-year Vitamix warranty that I've already personally vouched for. There's not much else to say about the 5200, because most of it's been covered in the 750 section. The only major thing it lacks is the pre-programmed settings, but that's more of a luxury than a necessity. Tall Container: Unlike the 750, it has a taller container which isn't deal for low cabinets. I know what you're thinking, how can a Nutribullet make banana ice cream... It's not powerful enough! I won't lie to you, it doesn't make it as perfectly traditional is the Vitamix. You do need to add a little liquid -- just a splash. But honestly, I make banana ice cream in my Nutribullet all the time because I'm too lazy to get out the Vitamix. It's a good size and powerful enough to get the ingredients really smooth with just a little bit of liquid. Small and Easy to Store: The Nutribullet is so light compared to a big blender. Taking it out isn't a big commitment and it doesn't take up a lot of real estate in the sink or on the counter. If you're short on space, this is something you should heavily consider. 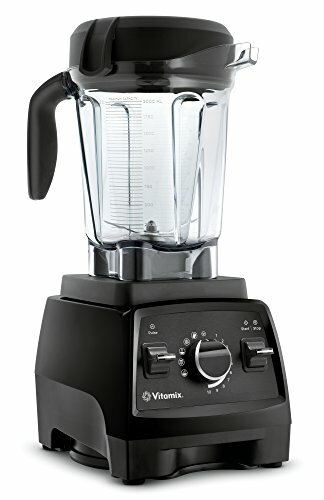 Affordable: It's a much lower-tier blender than a Vitamix, so naturally it tends to run a bit cheaper. This is good because it means people on a budget can also enjoy banana ice cream! Tons of Accessories: It's got handles, lids, rims, tops and cups that are easy to drink out of. Literally everything you need for making stuff on the go if you want. Eat From the Cup: I often times eat my banana ice cream right out of the cup of my Nutribullet. You can do the same! No need to clean a blender and extra bowl! Short Warranty: Unlike the 750, it has a taller container which isn't deal for low cabinets. Not "Perfect" Banana Ice Cream: Its not easy to make it the traditional way. Requires much more fuss than a super powerful blender with a tamper. You'll need a splash of liquid. Blendtec's are awesome. As I already mentioned, there's one in my family and I've made plenty of batches of banana ice cream with it. My brother owns a Total Blender so I always use it when I'm over at his place. The only issue is that it doesn't come with the Twister Jar which is the Blendtec's equivalent to the Vitamix tamper. If you do get the Twister Jar, doing banana ice cream is an absolute piece of cake! 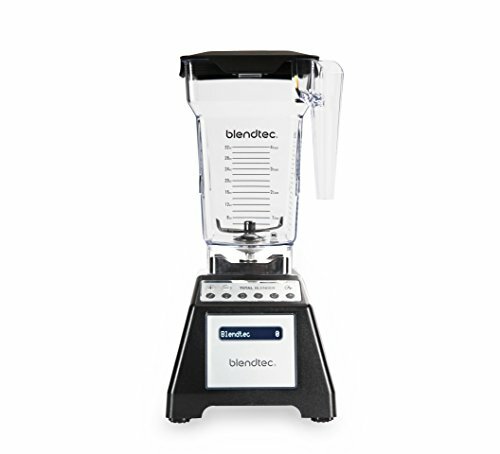 Extremely Powerful: Blendtec's are by far the most powerful blenders with 3-HP motors. Anything with even a little liquid will get sucked into the vortex and blended into a silky smooth heavenly concoction. Great Warranty: Blendtec has the same or similar warranty compared to the Vitamix. My brother has utilized his warranty several times and customer support has been great. On one occasion they sent him a completely new blender base just based on how it sounded over the phone, it was that easy. Variable Speeds: You get complete control over the final texture of your blend. Dishwasher Safe Jar: Some Vitamix jars aren't even dishwasher safe, but the Blendtec jar is. Not that it's hard to clean without it. Just use warm soapy water and blend when you're done using it. Pricey: It's on the more expensive side, but worth it because of the warranty. If you don't want to get one of the bigger counter-top blenders, the Explorian is a great alternative. It's got everything you need for banana ice cream and so much more. It was one of our top picks in our Vitamix 6500 review and comparison. 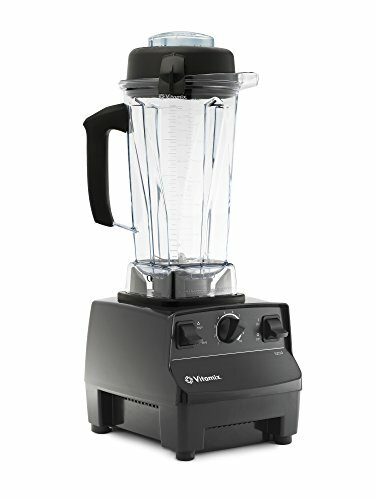 If this Vitamix meets your budget - I'd highly recommend it. Sizing: It's got less capacity than the other Vitamix blenders, but this could be good if you only make things for one. Warranty: A bit shorter warranty than the regular Vitamix 7-year, but still extremely solid. Any of these blenders will do just fine for making yourself banana ice cream. Whether you have to add a bit of liquid or not, you're not likely to notice the difference.